Arium AE transformed an existing prefabricated metal building into a luxury used vehicle showroom and service facility. After over 50 years in use as an RV and Camping Center, this two story structure went under a complete exterior and interior transformation. 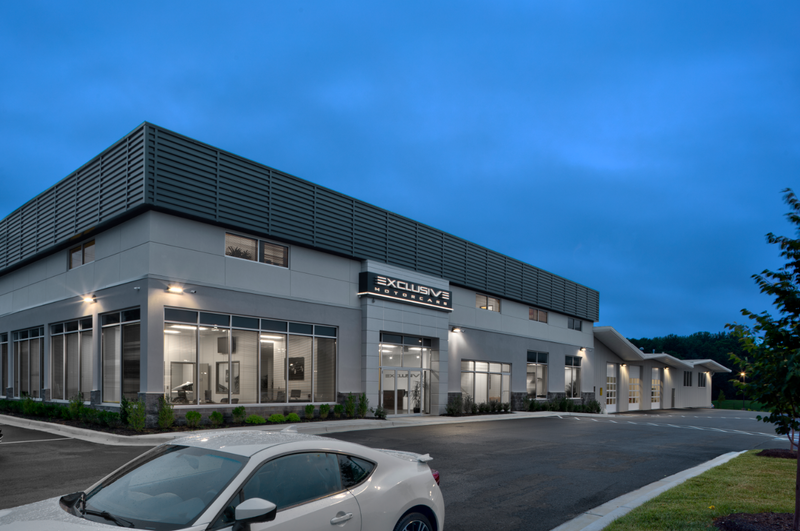 The new home of ExclusiveMotorcars features a beautiful new vehicle showroom and sales floor, office space upstairs, and garage service bays for photography, washing and repair. 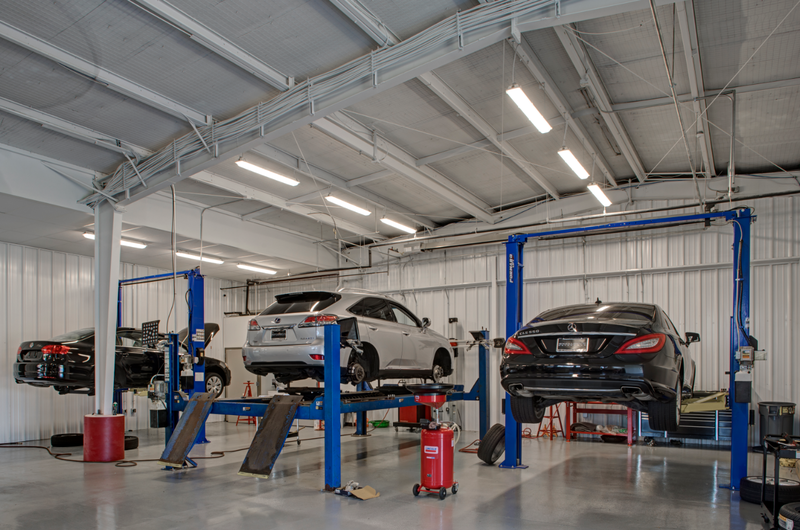 State of the art service bays for repairs, photography, and detailing complete the customer experience of the facility. 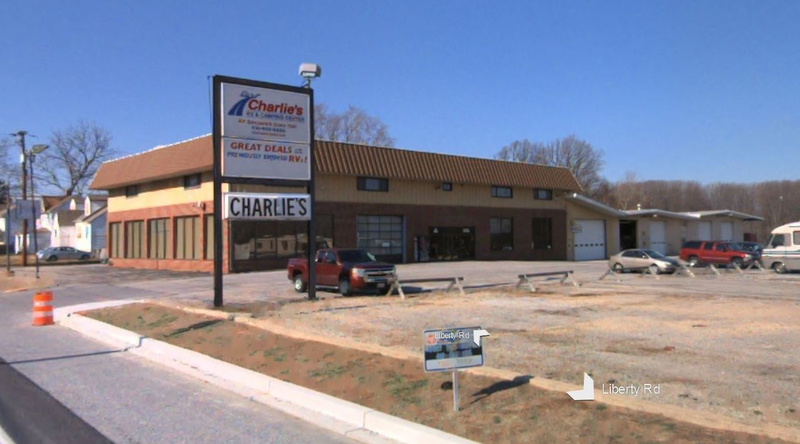 The site has ample parking for a large stock of pre-owned luxury vehicles. Arium partnered with the KasCon in a collaborative design-build effort to work through a host of design challenges in the adaptive reuse of this facility. The existing building lacked a street presence and clearly defined entry. At the outset of this project, the client placed a strong emphasis on transforming the lacking street presence of the existing prefabricated metal building. Arium AE’s conceptual rendering and vision for the transformation of the facility. Arium’s design studio focused on juxtaposing various layers of materials and textures in a way that would provide a clean modern façade at a scale that was appropriate to capture the attention of vehicles passing by on Liberty Road. 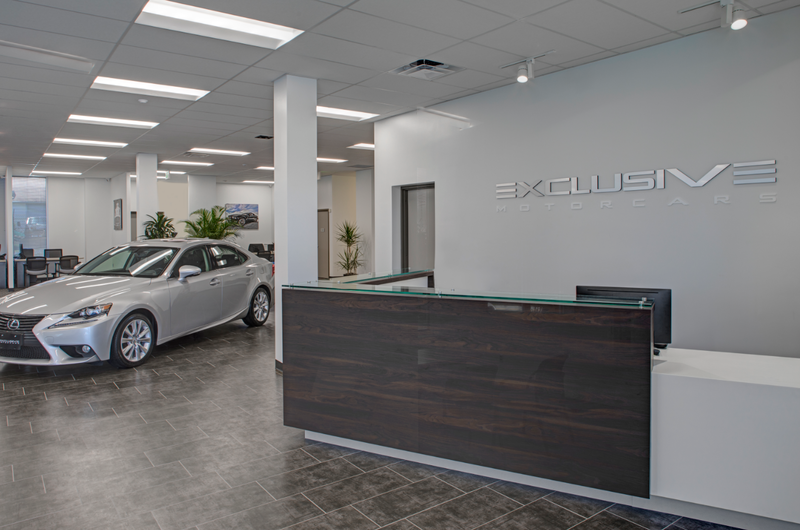 The showroom is bathed in natural light and provides customers with a unique car buying experience. Arium’s design team collaborated with the client and the contractor to develop a project that met the project’s aggressive schedule and budget requirements. 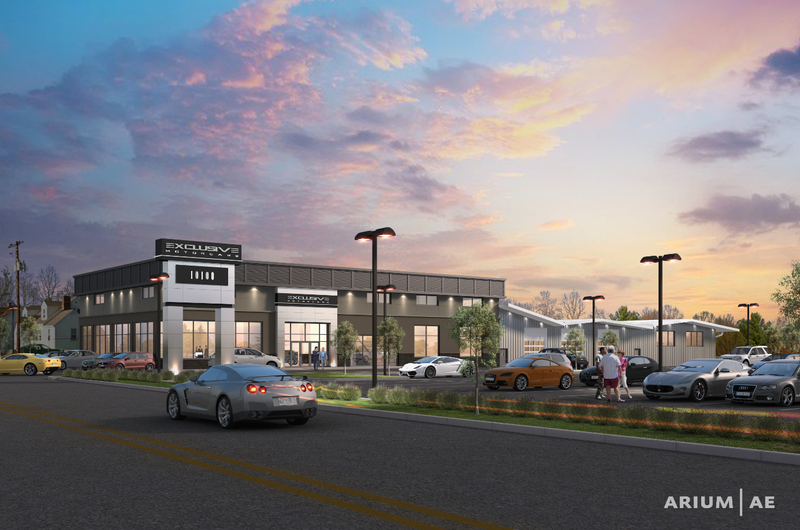 Exclusive Motorcars now has a facility to support an exceptional customer experience and the community has a new landmark building built to last another 50 years.